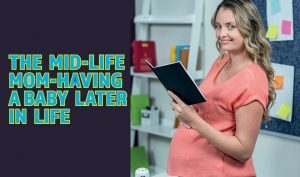 Having a baby in mid-life can be thrilling with the excitement a new baby brings to the family, and the fact that most middle-age moms have more time, experience, and material resources at hand. Yet there are some less spoken about aspects of having a baby later in life as Dr. Rehan Salim – Consultant Gynecologist and Sub-specialist in Reproductive Medicine explains. The ability to have a child is always positive, reiterates Dr. Salim. “Whilst it is harder to be pregnant as age advances, it is still possible,” he says. And with all of the latest in IVF and fertility treatments out there, it seems women are having babies much later in life. According to Dr. Salim, the age-related decline in fertility has continued despite all the medical advances. “However, fertility treatments are usually presented in a very positive way, and much of the technology is recommended when there is no good evidence for its use—for example, time lapse imaging, laser hatching, and PGS,” he says, and this is the main emotional problem as it sets expectations higher than they should be. The fact that a woman has had a pregnancy before is a positive prognostic indicator. These women are more likely to be successful with fertility treatment.